has added a new trailer to its lineup for 2016. 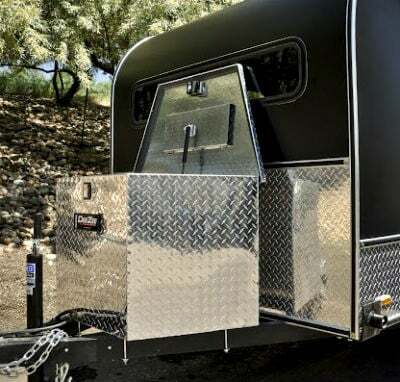 It’s called the Summit and, like its name, it’s for those RVers who enjoy fishing, hunting, or off-roading in the backcountry for a day or days at a time. 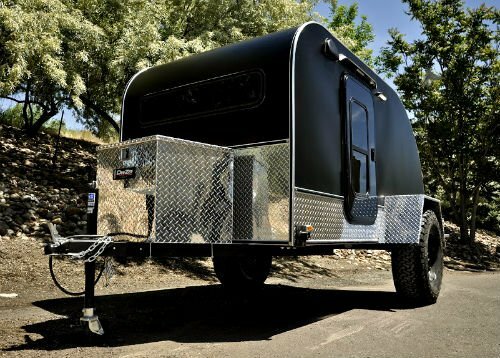 It weighs 1,800 pounds (with optional power package) and can be towed by a jeep or 4×4 SUV. What’s more is its 18-inch clearance with 35-inch BF Goodrich Radial TA off-road tires, full skid plates, nerf bars, corner hardeners and 3200-pound torsion axles make it ideal for a variety of terrain. 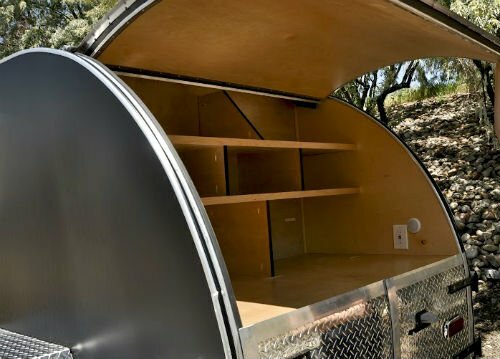 While it doesn’t offer all the space and amenities of larger trailers, it`s not designed to. Yet, many efforts have been made to provide comfort within its overall 14 x 7.3-foot package. For instance, the Summit has an interior height of 4.6 feet and a width of five feet. This allowed designers to include a set of bunks, which can convert to a sofa, and the ability to provide a queen size bed. The Summit also offers ample lighting when night falls. Full rear galley with stove sliders and ample storage. Additional upgrades entail a 5 x 7-foot screened room, a queen size memory foam mattress, a double slide galley, and spare tire. Trailer Dry Weight: 1,630 lbs.